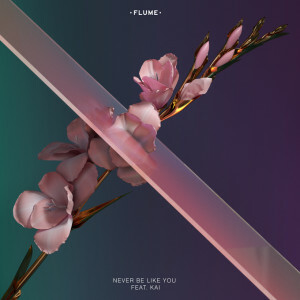 • Kicking off your midweek edition of The Purge with news that Flume’s new single ‘Never Be Like You’ is one of a mass of new songs served to Australian media this week. The track, recently touted by Annie Mac on BBC Radio 1 as the hottest record in the world, has already found favour with the Sydney producer’s fanbase, sailing into the iTunes top ten. It’s the lead single from the producer’s forthcoming album ‘Skin’. • Also doing the rounds this week are the aforementioned Tina Arena single ‘Wouldn’t Be Love If It Didn’t’, Conrad Sewell’s ‘Remind Me’, the addictive Lion Babe single ‘Where Do We Go’ and Selena Gomez’ ‘Hands To Myself’. Naturally, you’ll be able to discover our weekly wrap of the newbies over on our FACEBOOK page tomorrow. • Japanese Wallpaper will release a new deluxe remix EP on Friday week. Preceding his appearance at Laneway Festivals across the country, the EP features the five original tracks from his ‘Japanese Wallpaper’ EP, all given a fresh lick of paint by the likes of Sable, UV Boi and Teen Daze. It’s out on January 29. • Speculation is rife that the Pet Shop Boys are about to release new music. Posters have been popping up across London bearing the word ‘Super’, directing people to THIS WEBSITE, which features a countdown clock that’s set to expire at midnight tomorrow night (Australian time). More information as it comes to hand. • US indie outfit Modest Mouse will play headline shows in Sydney and Melbourne in March. In what’s the band’s first visit to Australia in almost seven years, they’ll take to the stage at Sydney’s Enmore Theatre March 21 and Melbourne’s Margaret Court Arena on March 23. Tickets for both dates are on sale from midday local time on Friday. • And Elle King, who’ll be in Australia for Bluesfest in Byron Bay in March, will also play headline shows in Sydney and Melbourne. She’s locked in for a gig at the Corner Hotel in Melbourne on March 22 and another at the Metro Theatre in Sydney on march 24. Tickets are on sale now.